Hello, Safety. Meet Comfort. We think the two of you will get along just dandy in these Timberland PRO Men's Brown 52562 Endurance PR 6-Inch Steel Toe Boots. In fact, you're a match made in Working Person heaven. With supple Full-Grain Briar Leather uppers surro ... (see full details) (see specifications) #TMBTB052562214. Hello, Safety. Meet Comfort. We think the two of you will get along just dandy in these Timberland PRO Men's Brown 52562 Endurance PR 6-Inch Steel Toe Boots. In fact, you're a match made in Working Person heaven. With supple Full-Grain Briar Leather uppers surrounding your feet, you can rest assured these Timberland Pro boots will deliver the perfect combination of comfort and durability. The 6-Inch style of these EH boots features dual-purpose top hardware for a custom fit and padded collars for improved ankle comfort. The PowerFit Comfort System also delivers maximum comfort all day long. The wider toe cap and contoured work tongue give your feet more room when you wear these Endurance boots. Timberland PRO Anti-Fatigue Technology absorbs shock with each step and helps those who spend most of their day on their feet. This pair of safety toe boots is constructed on the TiTAN last for a superior fit and boasts mid-foot shanks for improved stability and control. 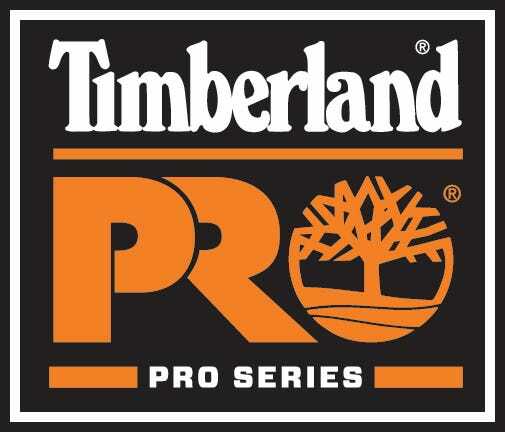 Underfoot you'll find Timberland PRO Rubber Outsoles for unbeatable slip-, oil-, and abrasion-resistant traction. Lined inside with Cambrelle, this pair of brown boots works to wick away moisture and perspiration for a dry, cool fit day after day. Cambrelle is anti-microbial too, so it fights odor-causing bacteria. Flexible Steel-Flex plates keep your feet protected against punctures caused by nails or other sharp objects when you wear these heat-resistant boots. The soles are ASTM-rated (ASTM F2892-11, ASTM F2413-11, ASTM F2412-11) Electrical Hazard resistant as well to guard against shock in charged environments. ASTM-approved steel toes keep you guarded from impacts and other job site hazards. Maybe we should look into a career in matchmaking. Comfort and safety seem very happy together. Okay, so we can't take the credit, but Timberland did a fine job with these steel toe boots. They're even backed by Timberland's 30-Day Comfort Guarantee. Go ahead; take the plunge. Click on the cart and order your pair of Timberland PRO Men's 52562 Brown Steel Toe EH Endurance PR Boots today. I have had Carolina Golds in the past but decided to buy these Timberland Pros. There was no break-in time at all. They felt good from the very first moment. I've had the boots for a year now. I liked them so much I'm going to get another pair. This is a safe and comfortable pair of steel toe boots. I am at work more then I am at home and I really needed a pair of boots that wouldn't kill my feet. Once again working person's came through. And I will buy Timberland from now on. These are the single most comfortable work boots I have ever worn. This is my first pair of Timberland Pro boots and I have to say I am very happy with them. I am not big on the orange, but I can live with it. Timberland PRO Boots: Men's Endurance PR 52562 Brown Steel Toe EH Boots is being added to your cart.